This dataset includes recommended positions and salaries for 2018 by title (without names) and salary. 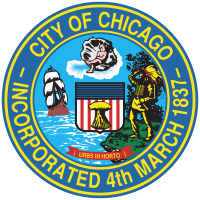 The dataset is excerpted from the 2018 Budget Recommendations, which is the line-item budget proposed by the Mayor to the City Council for approval. Disclaimer: the “Total Budgeted Unit” column displays either A) the number of employees AND vacancies associated with a given position, or B) the number of budgeted units (ie. hours/months) for that position. “Position Control” determines whether Total Budgeted Units column will count employees and vacancies or hours/months. If a Position Control is 1, then employees and vacancies are displayed; if a Position Control is 0, then the total number of hours/months recorded is displayed. For more information about the budget process, visit the Budget Documents page: http://j.mp/lPotWf.